Domestic violence, also known as family violence not only goes by different names across Australia, but also has similar but different laws. Having represented clients both as applicants and respondents in relation to intervention orders for over 35 years, we are highly experienced in dealing with the legal issues associated with family violence and domestic violence within the Victorian court systems. Regardless of what type of intervention order, they all have the same goal; to preclude one person from engaging in certain activities towards another person. In some cases, an interim order may also be granted which means that the order is in effect immediately, and assessed again for its appropriateness at a magistrates Court. 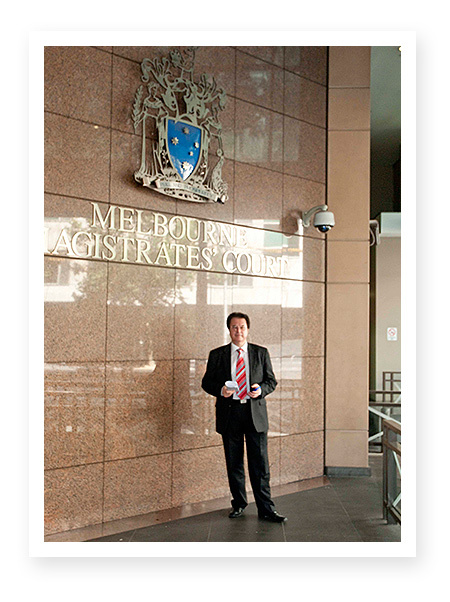 Contact Velos & Velos Family Lawyers immediately to obtain advice and representation to best deal with your situation. To obtain intervention order, the applicant must attend the local magistrates Court. They can be assisted by a lawyer, or they may choose to do this themselves. For immediate protection, the applicant must apply to the court to have an interim intervention order granted. If police have been involved in the matter already, a reverse onus may apply meaning that the court must be satisfied that there are no circumstances to justify imposition of an interim order against the respondent. Intervention orders are complex proceedings, they can take significant periods of time from the first application, to a time when evidence is presented in a court and a final verdict and orders are made in open court.. Throughout this process, many stages take place including multiple appearances at the magistrates Court, and many cases will go through a mediation process as if necessary. Velos & Velos Family Lawyers are ready and able to help you find your way through these complex proceedings, and to ensure an appropriate outcome.